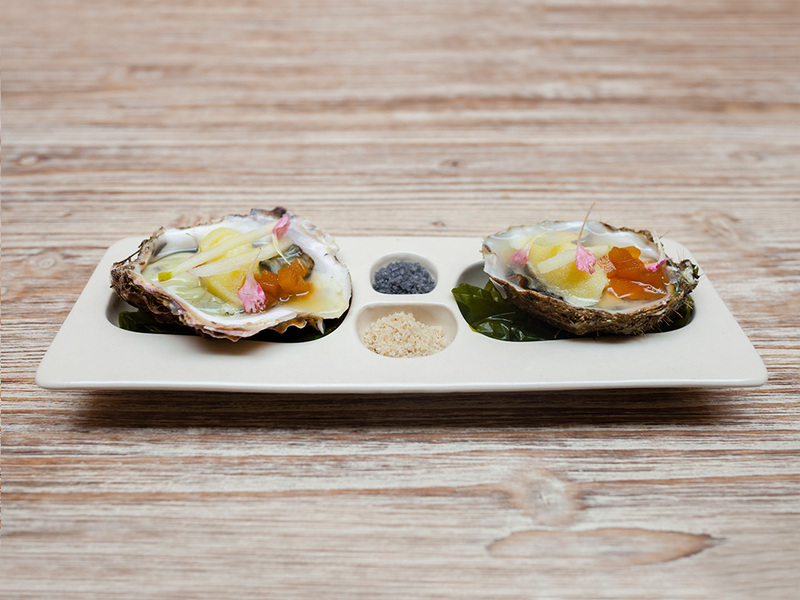 Oyster Dish is created to taste one of the most delicate and precious shellfish, which always in the collective imagination, is one of the finest and aphrodisiac food; the oyster. 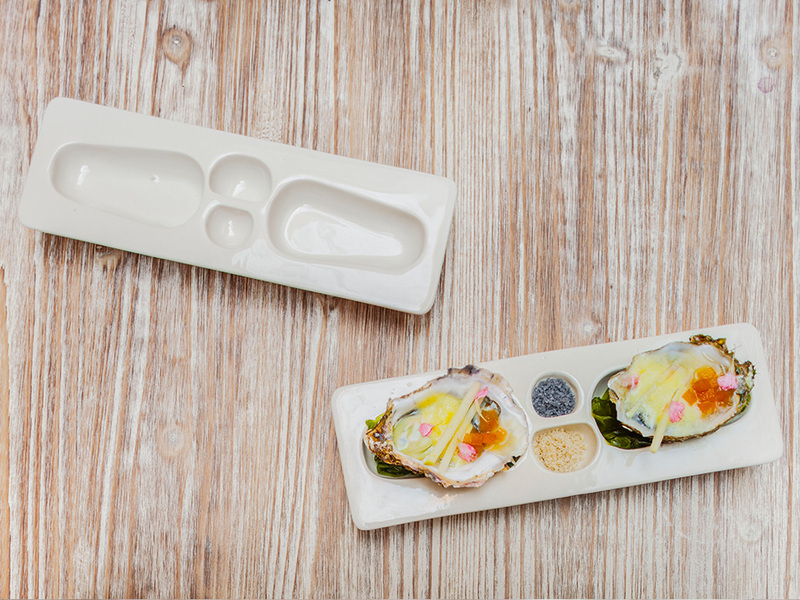 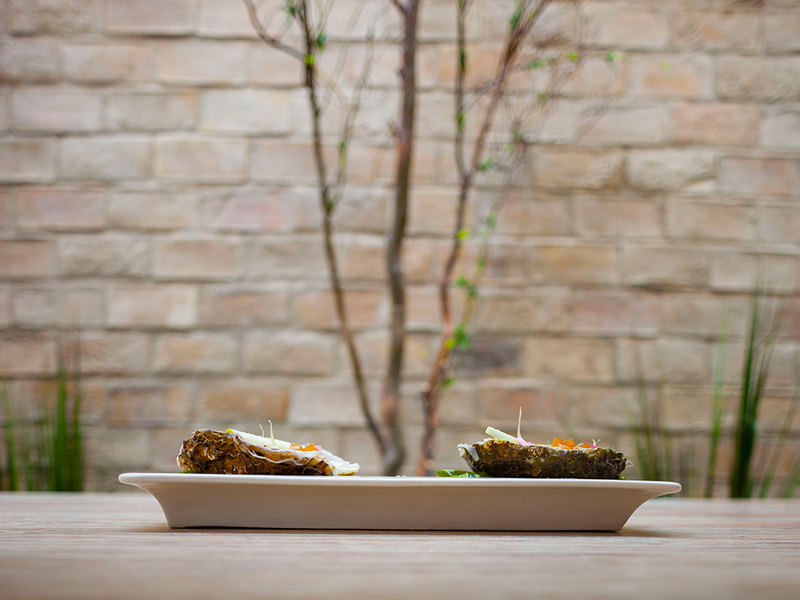 Each rectangular dish has two main spaces to place the oysters and two smaller spaces for spices and sauces. 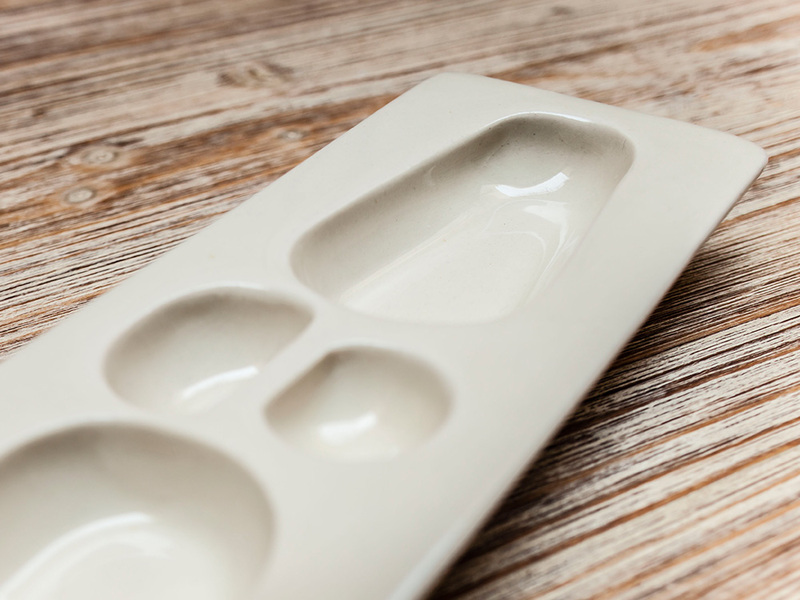 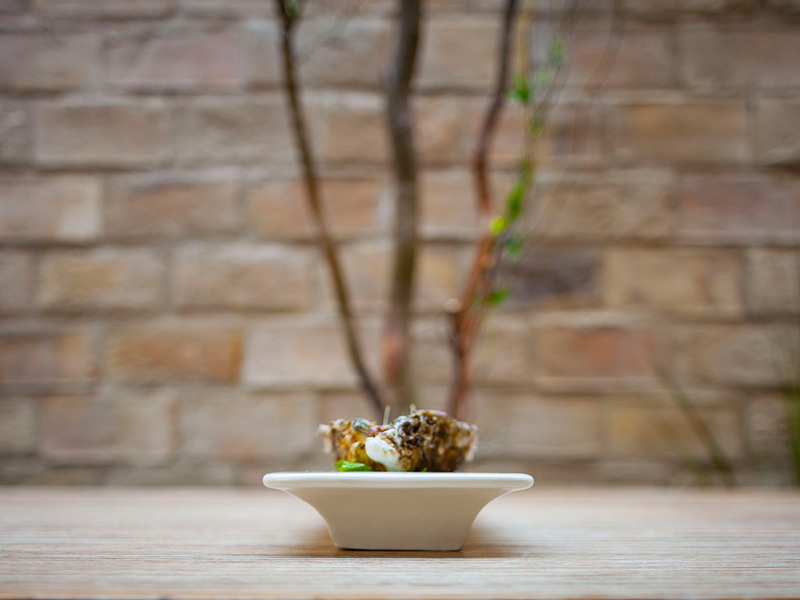 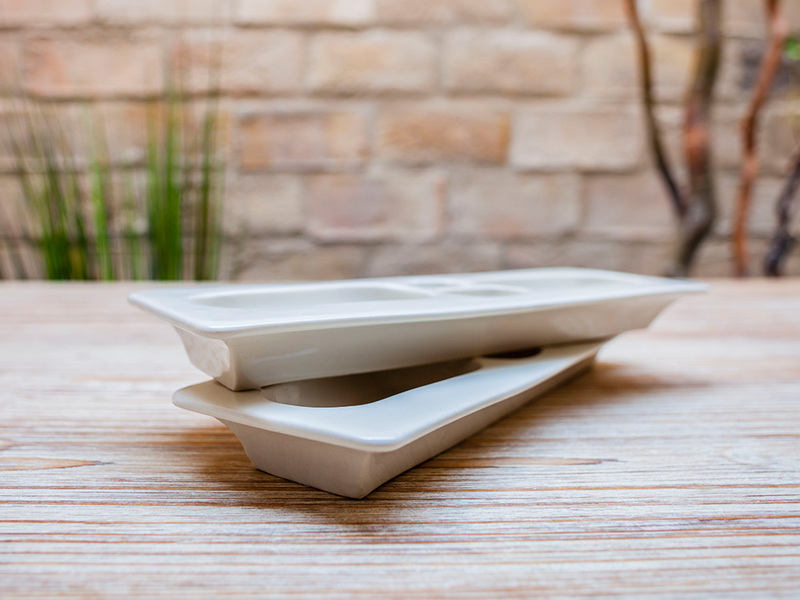 The Oyster Dish is handmade in Valencia (Spain) using traditional stoneware and is unique for its function, but could serve other proposes as well. 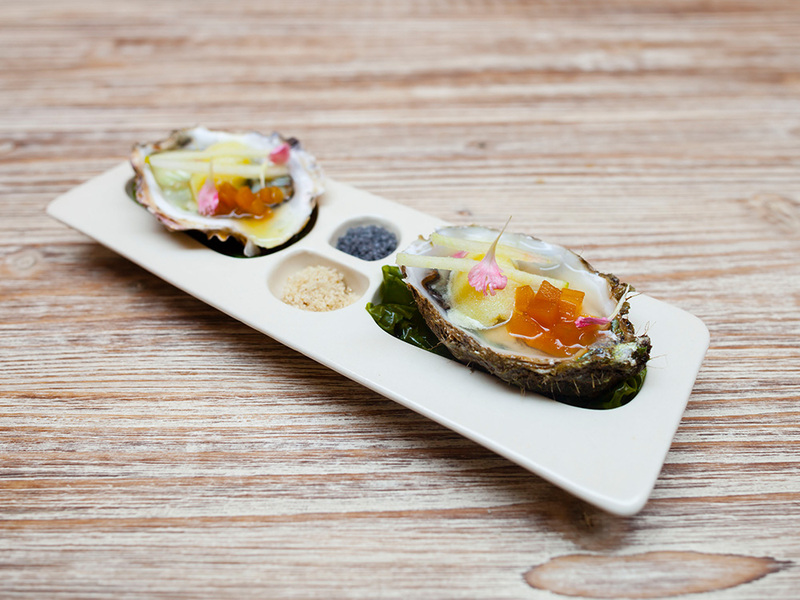 Hand made in Valencia, Spain.